Katherine Lucier has some very special gifts, not the least of which is her confidence and sharp wit. When you first meet her, she seems quiet and shy, but just give her an opportunity to speak and her sense of humor and natural confidence shine! Words like "whippersnapper" roll off her tongue and soon you are laughing along with her. Katherine says her strength comes from God and her family. She is the only child of Lisa and Kevin and is the proud owner of a West Highland White Terrier named Daisy. Her life started early when she was born premature at 31 weeks. At two years Katherine was diagnosed with cerebral palsy and has been using a power wheelchair since kindergarten. 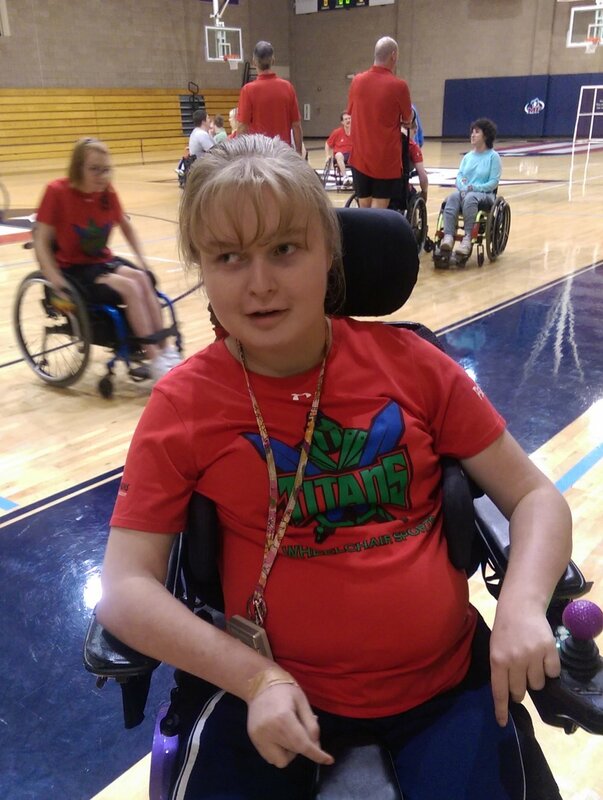 Please DONATE NOW to help make Champions Place a reality for someone like Katherine. A proud high school graduate in 2016, Katherine worked very hard throughout her school years and graduated with honors. Currently, she is taking classes at Chattahoochee Tech and plans to take her core classes there before transferring to a four-year school to major in history. Katherine is also active in Young Life and the SHINE ministry at Johnson Ferry Baptist Church. Two days a week she receives physical therapy in the pool and at her home. A favorite hobby is watching (and playing) Jeopardy – keep an eye on this trivia expert! Katherine is powering through life with determination; her strength from God will help her succeed in all she does!